← Why Now is a Great Time to Buy a Vacation Home on Lake Tulloch! 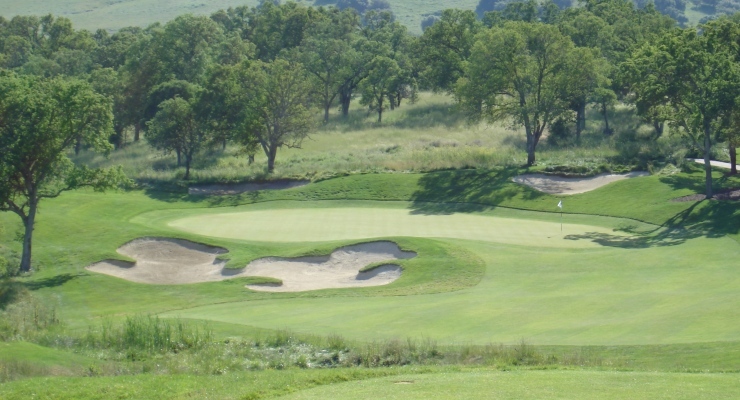 COPPEROPOLIS, Calif. -- Saddle Creek Resort - the award-winning Northern California golf community developed by Castle & Cooke and located in the foothills of the Sierra Nevada - has moved up to No. 12 on Golfweek's 2011 list of "Best Courses You Can Play" in California. The list is featured in the magazine's latest issue. Saddle Creek Resort is in elite company alongside several hosts to professional tour events and world famous resorts including Pebble Beach, Spyglass Hill, and Torrey Pines. In 2010, Saddle was ranked No. 15. "We are honored to be recognized by one of golf's most prestigious publications and excited to climb the list again in 2011," says Bob Higgins, General Manager. "Golf is a challenging sport but the exceptional conditions at Saddle Creek Resort make it enjoyable for players of all abilities." Located two and a half hours east of San Francisco, Saddle Creek's challenging-yet-fair design has made the property a perennial favorite for golfers of all abilities. Not to be missed while at Saddle Creek Lodge is the award-winning Copper Grille -- a culinary destination of Calaveras County featuring more than 500 wines including the highly-praised local Petit Syrah. With the course in prime condition, Saddle Creek Resort is offering the "Great Spring Value," beginning April 1 and featuring golf on its championship-level layout starting at $75 per person. The package includes cart fees, a sleeve of Saddle Creek logoed golf balls and lunch. For those looking for overnight accommodations, Saddle Creek Resort offers luxurious, course-side bungalows. Options include a full two-bedroom, two-bath bungalow, or a one-bedroom suite with full kitchen and dining area, and a living room with cozy fireplace. Guests will also receive access to the resort's Sports Club, which houses a junior Olympic-size lap pool, workout equipment, tennis and bocce ball courts and a horse shoe pit. Saddle Creek Resort's miles of hiking and biking trails are easily accessible from the bungalows. For more information, call Saddle Creek Resort at 209.785.7415. About Saddle Creek Resort Situated in the rolling foothills of the Central Sierra region just two hours from the Bay Area and 1.5 hours from Sacramento, Saddle Creek Resort is located in the heart of the Copper Valley in Copperopolis. Golfers will discover stunning vistas of the towering Sierra Nevada Mountains to the east, while an ethereal collection of shimmering lakes, native trees, indigenous grasses and 100 bunkers provides a challenging, thought-provoking experience from tee to green. To create an atmosphere of tranquility and isolation, golf course architect Carter Morrish devised a routing in which no two holes run parallel to each other. In proximity to Saddle Creek Resort is Copperopolis Town Square, a traditionally-designed, Gold Rush era-themed "country town" that is the retail and event hub of the Copper Valley in the Central Sierra region. Featuring charming boutiques, eateries and specialty shops, the pedestrian-friendly Town Square is the perfect place to spend some time after a round of golf. For information regarding homes and homesites in Saddle Creek, please visit www.SaddleCreekResales.com for more information. This entry was posted in General Real Estate Info, Lake Tulloch, Saddle Creek Golf Resort and tagged 95228, Aaron Stafford, Calaveras County, California, Copperopolis, Copperopolis Town Square, golfing, Lake Tulloch, Lake Tulloch Real Estate, real estate, Saddle Creek. Bookmark the permalink.